Cremer, Andrea. The Inventor's Secret . Philomel 2014. Summary: Series of at least three books, including The Inventor's Secret , The Conjurer's Riddle , and the forthcoming The Turncoat's Gambit . What if: The American Revolution never happened. Series note: First in the Inventor's Secret series. Cremer, Andrea. 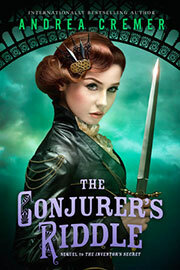 The Conjurer's Riddle . Philomel 2015. Series note: Second in the Inventor's Secret series. 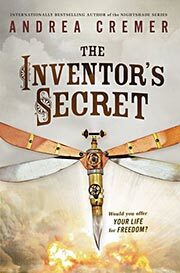 Series note: Third in the Inventor's Secret series.